Friday, September 28th there will be a Parkinson Support Group Meeting at Washington County Hospital. The meeting will be from 1:00 to 2:00 p.m. in the Lower Level Conference Rooms. Helena Quaid will be facilitating this meeting. The Parkinson Support Group is for individuals and their families that have been affected by Parkinson Disease. This is a great opportunity to ask questions and discuss issues and ideas for this group. Keith Doehring, PHARM D will be at the meeting to help answer any questions in regards to Parkinson Disease and its medication options. We hope to see you there. If you have any questions please contact Helena at 618-493-6064. Washington County Hospital and SSM Health in Southern Illinois have announced Brian Monsma has accepted the position of President at Washington County Hospital. Mr. Monsma’s first day in his new position will be Monday, September 17th. Monsma will be an SSM Health employee and have a dual reporting structure to the Board of Directors of Washington County Hospital and to Kerry Swanson, Regional President, SSM Health in Southern Illinois. Monsma possesses a progressive 23-year health care executive leadership career encompassing acute care, medical group, and accountable care organization settings. Washington County Hospital and SSM Health in Southern Illinois will sponsor a “meet and greet” reception in the coming weeks giving Washington County residents an opportunity to meet Monsma. Mr. Monsma succeeds Nancy Newby following her 21 year tenure of dedicated service to Washington County Hospital (WCH). Newby was recruited to join Washington County Hospital as Chief Nurse Executive in 1997. Three years later, she became CEO. Newby’s leadership has been integral in ensuring that WCH’s operations remained committed to sustaining its health care mission to all residents of Washington County –including her collaborative work in building a strong relationship between WCH and SSM Health. As planned, Nancy will be retiring after the completion of a brief transitional period with Mr. Monsma. Results of the blood drive was 57 donors and 48 units collected. We had 2 first time donors. Next drive is scheduled for November 6th, 2018. All checks should be payable to: Angel for Autism. Washington County Hospital will be hosting a blood drive in the lower level conference rooms on Tuesday September 11th, 2018. WCH wants to thank everyone that attended our Emergency Department Open House event on Wednesday, August 1 to meet our four (4) new emergency medicine team members. Local residents, physicians, WCH Board members and staff, as well as representatives from emergency air transport teams enjoyed refreshments and the opportunity to talk to our newest ER team members. 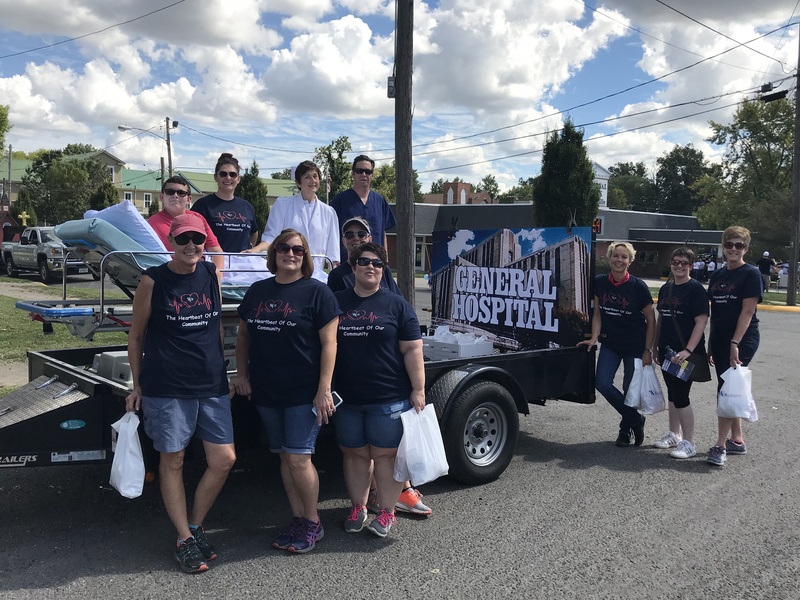 Altogether, Washington County Hospital’s ER has gained 45+ additional years of emergency medicine experience, and Washington County residents gain even greater access to the health care services you need and deserve. Delivering a truly exceptional experience to those we serve. Washington County Hospital is hosting an open house to meet the newest members of the ER team. Washington County Hospital is hosting a Heart Healthy Diet Class on July 19th, 2018 at 4:00pm in the WCH cafeteria. Speaker is Dietitian Eileen Hoag. WCH is hosting a blood drive on July 10th in the lower level conference rooms.